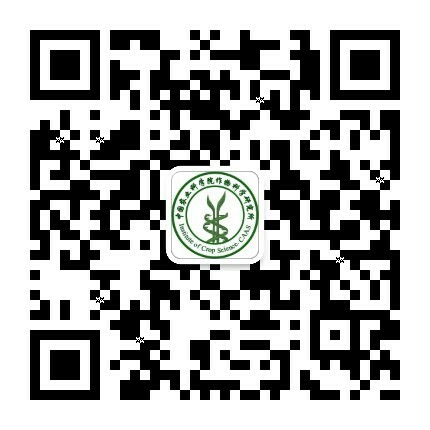 文章摘要：Tillering and panicle branching are important determinants of plant architecture and yield potential in rice (Oryza sativa). Ideal Plant Architecture1 (IPA1, encoding OsSPL14) acts as a key transcription factor regulating tiller outgrowth and panicle branching. 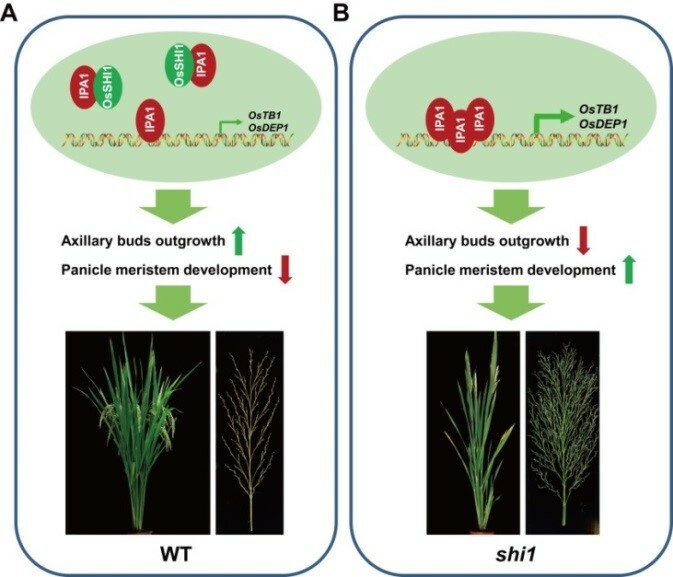 Here, we report the identification of a rice mutant named shi1, which is characterized by dramatically reduced tiller number, enhanced culm strength and increased panicle branch number. 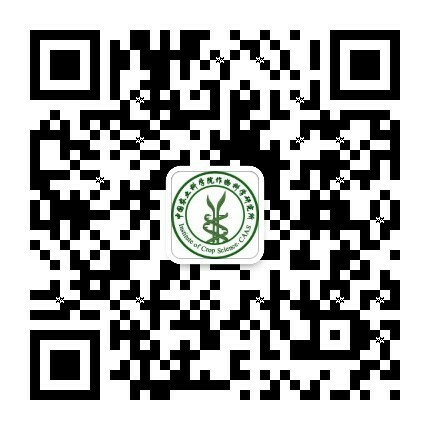 Map-based cloning revealed that OsSHI1 encodes a plant-specific transcription factor of the SHORT INTERNODES (SHI) family with a characteristic family-specific IGGH domain and a conserved zinc-finger DNA binding domain. OsSHI1 is predominantly expressed in axillary buds and young panicle. We show that OsSHI1 physically interacts with IPA1 both in vitro and in vivo. Moreover, OsSHI1 could bind directly to the promoter regions of both OsTB1 and OsDEP1 through a novel cis-element (T/GCTCTAC motif). Further, OsSHI1 represses the transcriptional activation activity of IPA1 by affecting its DNA binding activity towards the promoters of both OsTB1 and OsDEP1, resulting in increased tiller number and diminished panicle size. Taken together, our results demonstrate that OsSHI1 regulates plant architecture through modulating the transcriptional activity of IPA1 and provide novel insight into the establishment of plant architecture in rice.